The rumors have been flying for some time about Nikon layoffs in Japan. Today, Nikon finally announced their workforce plans publicly. Net sales declined 8.9 percent. It's easy to see the troubling aspect of the financial report, the continued downward trend of Nikon sales from those stats. Today, in Nikon's Notice of Restructuring, they announced what they plan to do with regard to their Japanese domestic workforce, so we can put all the rumors away for now. From Nikon's notice today, we now know that there are three actions Nikon is currently planning for their domestic workforce. 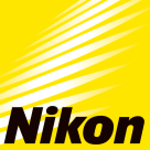 Nikon will be announcing the details of a voluntary retirement program of approximately 1,000 domestic employees. Together, the total of 2,350 domestic employees discussed in Nikon's announcement comprises about 23.5% of Nikon's Japanese workforce. I can't say for sure that "rationalizing" is the same as “laying-off,” but it sure sounds like it. We don't know, right now, how many will be laid off, and how many will be re-assigned. No plans were announced for Nikon's international workforce today. Nikon has not announced plans to directly address shrinking sales. I can only say "Wow" on that one. That's drastic. At least they're doing something. Where's there mirrorless DSL camera to go against Sony? That would help their sales alot.